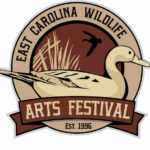 The East Carolina Wildlife Arts Festival returns to downtown Washington this February. Arts of the Pamlico has taken the helm for the 22nd year of this event. This year visitors can enjoy wildlife art exhibits and vendors at the Turnage Theatre, Washington Civic Center, and throughout downtown Washington’s galleries. There will be music, an art walk, auction, and more. 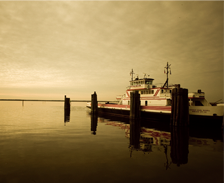 For the full schedule of events CLICK HERE or visit www.ArtsofthePamlico.org. 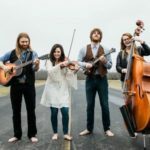 The Beaufort County Traditional Music Association presents The Barefoot Movement on Feb. 16 at the Turnage Theatre. Hear what people are saying about The Barefoot Movement. “The Barefoot Movement is a group that embodies all the things that I love about what is referred to as ‘traditional’ music…They are both great players, singers AND arrangers of ORIGINAL songs..they know the importance of having and building an identity of their own. And it’s these original songs and the way that they have arranged and delivered these tunes that really captures your attention and keeps you wanting more.” The Beaufort County Traditional Music Association is celebrating its 10th year in 2018. Look for more amazing performances from this grassroots arts organization this year. 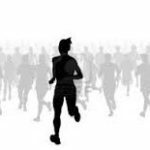 Thirteen point one miles may seem like a lot to you, but for people hoping to raise awareness and funds for epilepsy research, it is only a short distance to travel on foot. This year marks the 2nd Race for Epilepsy will be held in Washington. Runners will start and finish the race route in downtown Washington. Come cheer them on or lace up your shoes to participate in the 1 mile walk or 5K. There will be some street and road closings during the event scheduled between 6:30am and 11am.